a gated community, Parisian style. 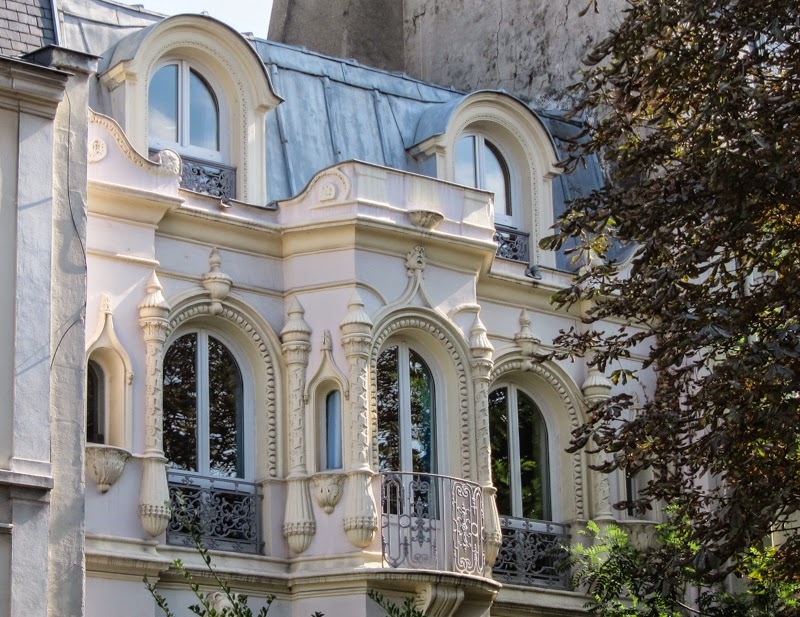 A hidden street that makes you want to move to Paris instantly- if only you could afford it. 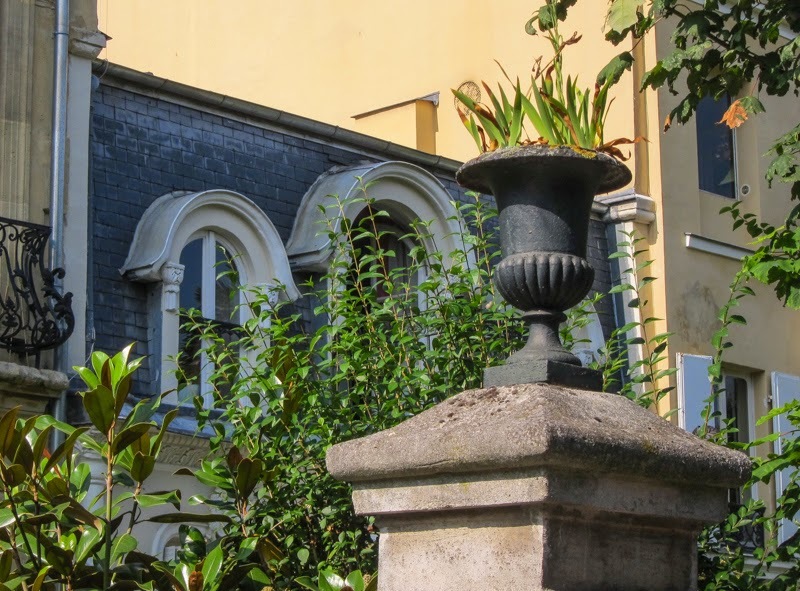 Paris is full of little surprises, and this is one of them. People actually live like they're in a countryside village, here in the heart of the metropole? Where can I sign up? The Cité des Fleurs is in the 17th Arrondisement, not far from the Minor Sight of Batignolles (covered here) or the well-trodden Montmartre. Map. 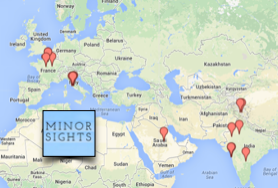 PARIS IS MOSTLY a city of six- or seven-storey apartments blocks- the ubiquitous Haussmannian apartments. 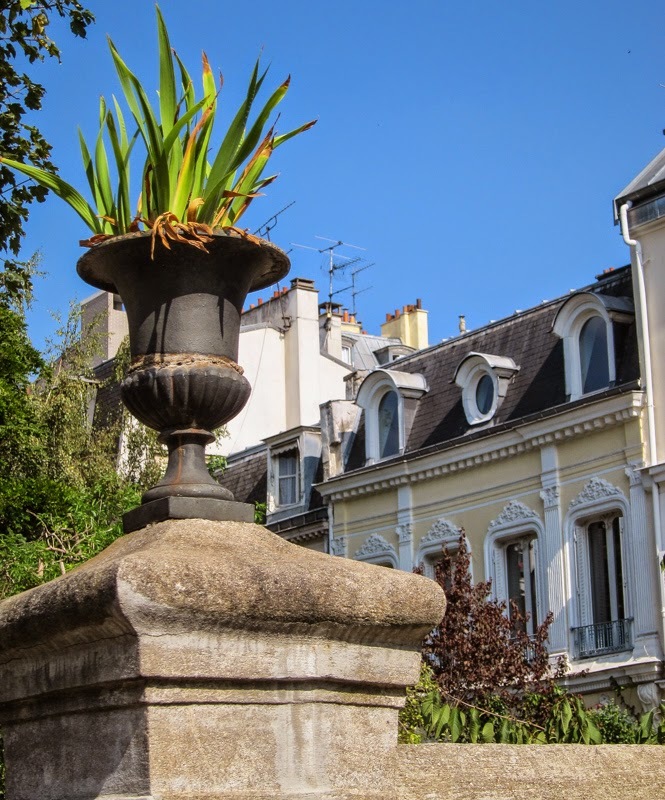 But hidden in the 17th arrondissement is a small pedestrian street whose inhabitants must think they are the luckiest inhabitants in the city. Because who wouldn't want to have the best of both worlds: city living with a country feel? It looks like a quiet country road but behind those trees and fences are some fancy townhouses. 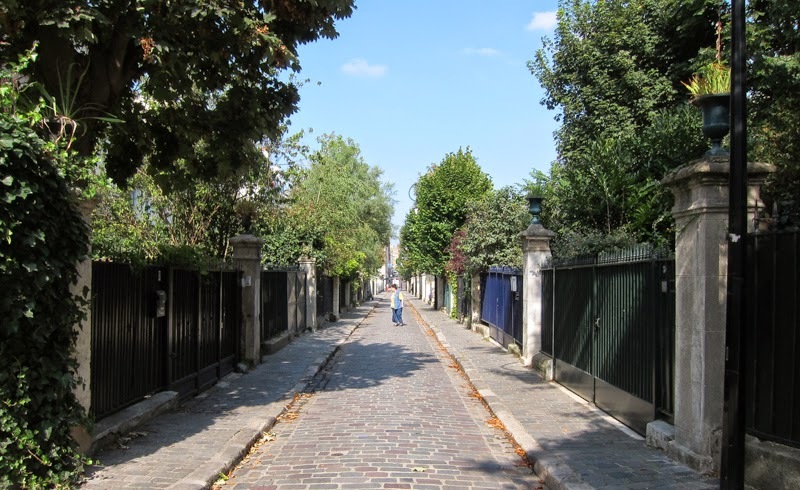 When the Cité des Fleurs (City of Flowers) was founded in 1847, a 320m long private street was created with multiple housing plots on each side. These were sold to private owners, and houses were built on them according to the owners' wishes. 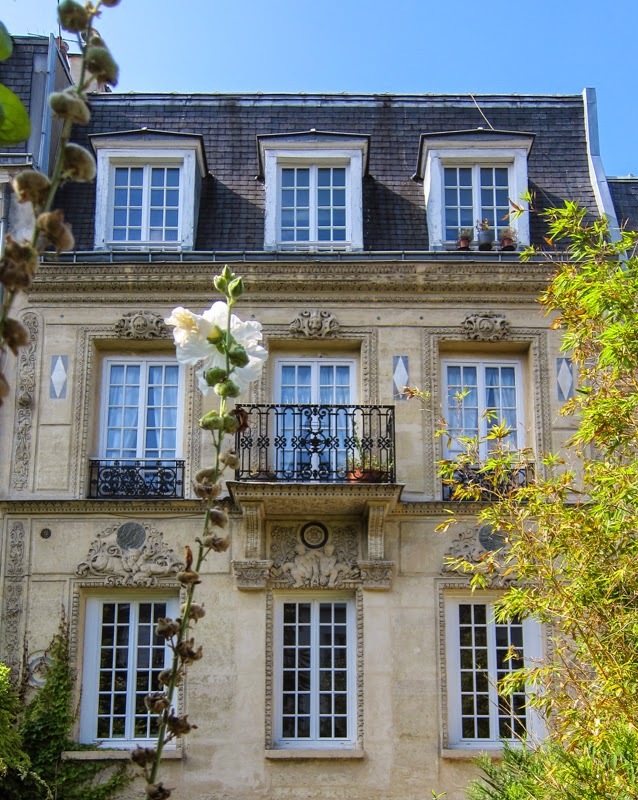 Now, this is fairly unusual for Paris, as, in keeping with the French penchant for bureaucracy, Paris has had building regulations in place since the 1600's. 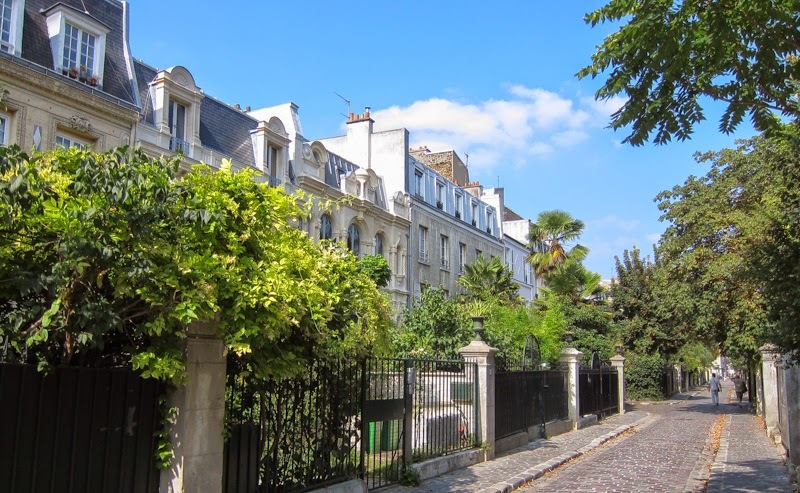 The most famous of these were those laid down by Haussmann in the 1850's, when new regulations laid down new buildings' height, overall design, placement of balconies, angle of the roof, and colour of its curtains (OK, just kidding about the latter, but not about the other ones). The result is a uniformity that makes Paris instantly recognisable as, well, Paris. But back in 1847, the Cité des Fleurs was still located outside the Paris city limits- and hence, the Parisian building codes did not apply. 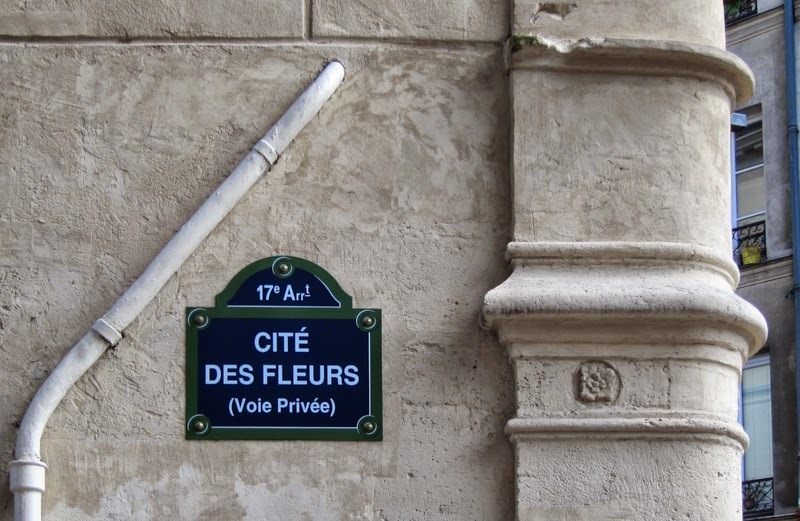 Even after the annexation of the suburbs in 1860 the Cité des Fleurs maintained its diversity- it was after all a private street, not a public one. However, France being France, and bureaucracy being a favourite pastime, the Cité des Fleurs' inhabitants did not come off scot-free. The street came with its own very strict set of rules, which regulated height, the requirement to keep a certain distance from the street, the planting of at least three (3!) trees in each front yard, and, for that classical touch, the placement of Medici vases on pillars on the edge of each property. All these rules are still enforced. Green Medici vases- can't build without one. Buildings came up in a variety of neo-styles, mostly Neo-Classical, and Neo-Renaissance, as well as the styles fashionable between WWI and WWII. 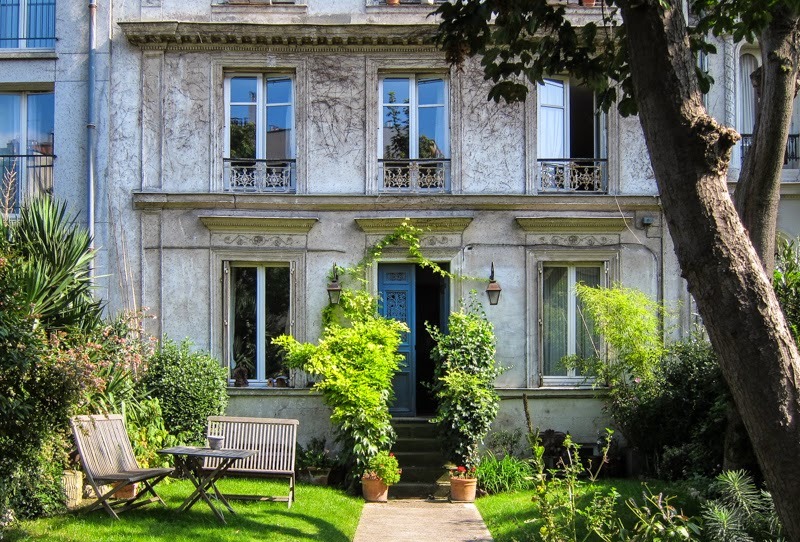 Many of them are cutesy little buildings, small by Parisian standards, and with that oh-so desirable front yard. ...whereas this facade is more what I'd call Neo-Weddingcake in style. A rustic little garden in front of this pseudo-Renaissance cottage. A 1930's gem with some Art Deco fleurs. 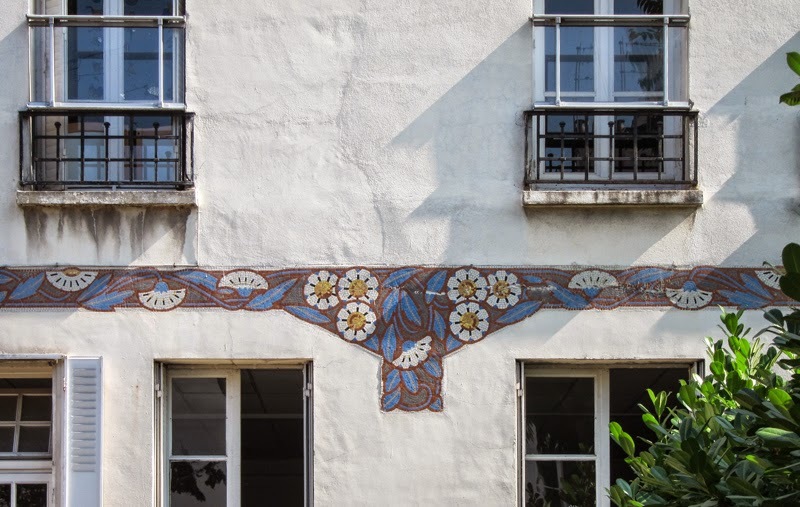 But the Cité des Fleurs is a great example of what I call 'unity in diversity': within a strict set of rules, there is a lot of variety, and the result is harmonious, but not monotonous. A principle that mostly applies to Paris as a whole as well but which sadly lacks in many of today's architecture designed by superstar architects creating big buildings for their even larger egos. Here is a 360 degree photosphere of the Cité. As is often the case, the Metro is the fastest way of getting here. Alight at Brochant. 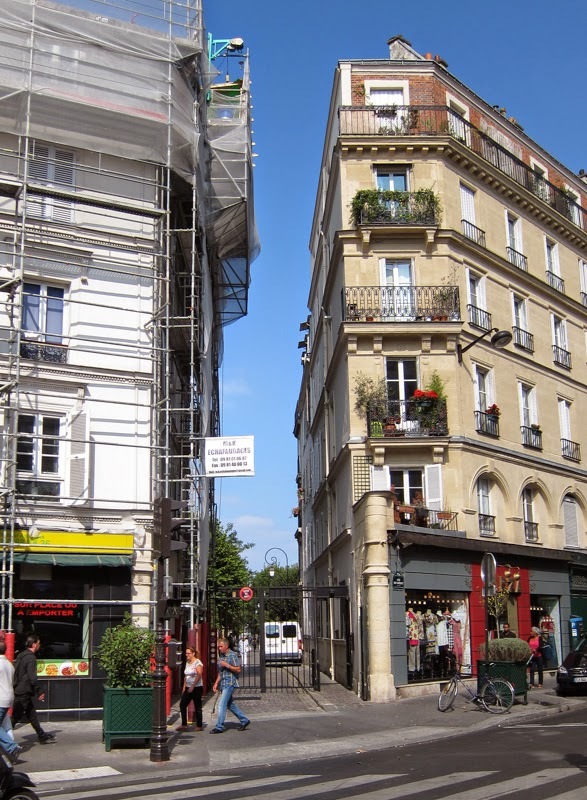 This is a pedestrian street- the entrance is hidden between two buildings, where Rue Guy Moquet meets Avenue de Clichy. During the day the gates are open- at night and on Sundays the gates are shut and residents have a code that lets them in. It's effectively a gated community. The entrance is hiding in plain sight- you can easily miss it.